Dame Elisabeth Schwarzkopf was a German-born Austrian/British soprano opera singer and recitalist. She was among the most renowned opera singers of the 20th century, much admired for her performances of Mozart, Schubert, Strauss, and Wolf. Schwarzkopf came from a Prussian family in the city of Jarotschin, in what is now Poland. At the time of her birth in 1915, the area was part of imperial Germany and had a large German-speaking population. Her father was a scholar and teacher, and the family later moved to the city of Magdeburg in the Saxony-Anhalt province of Germany, where she spent her teen years and began her formal musical education. Around 1932, when she was 17, the Schwarzkopfs moved to Berlin, where two years later she began studies at its Hochschule fuer Musik. Schwarzkopf's professional career began with the renowned Deutsche Oper in 1938, and she made her debut as a coloratura soprano with a small role in the opera Parsifal . Her breakout performance came in 1940 when she played Zerbinetta in the company's production of Strauss' Ariadne auf Naxos . This period of her career, however, was complicated by Germany's political situation: Adolf Hitler's National Socialist, or Nazi Party, firmly controlled all aspects of life, including cultural institutions, and had launched a full-scale military expansion into the rest of Europe. Schwarzkopf officially joined the Nazi Party, took part in propaganda films, and traveled to German-occupied Paris in 1941 for a performance of the opera Die Fledermaus for an audience comprised of Nazi officials and sympathizers in the city. When World War II ended in 1945 with Germany's defeat by Allied British, American, and Soviet forces, Schwarzkopf underwent questioning by their military personnel. She reportedly lied about her party membership status, an accusation that would return to haunt her some 50 years later. Both Germany and Austria underwent a de-Nazification program after the war, and those who had been Nazi Party members could expect their career and travel options to be somewhat restricted at the time. Schwarzkopf's professional status was aided by her reacquaintance with a British record producer named Walter Legge in 1946 in Vienna, where she was then living. Legge subjected her to a punishing audition in which he forced her to sing the same phrase from one song for more than an hour, but then signed her to a recording contract with EMI. She also joined the Vienna State Opera, and traveled with them to London's Covent Garden for a 1947 production of Don Giovanni as Donna Elvira, which would become one of the signature roles of her career. A year later, Schwarzkopf appeared at the prestigious Salzburg Festival with Herbert von Karajan, the conductor with whom she would work with many times in both stage productions and in the recording studio, and also made her debut at La Scala, Milan's famous opera house. She and Legge mar- ried in 1953, and she enjoyed a successful career over the next quarter-century as a sought-after soprano for the aristocratic female lead in several classic operas, among them The Marriage of Figaro as the Countess, Cosi fan tutte as Fiordiligi, Capriccio 's Countess Madeleine, and the Marschallin in Der Rosenkavalier , another Strauss classic. Her 1956 studio version of this opera, done with Karajan and the London Philharmonia, is considered one of the consummate recordings among Strauss-lovers. Critics were divided on the merits of Schwarzkopf's voice, however. A New York Times tribute by Anthony Tommasini cited two reviews from the newspaper's archives: One claimed "she had a superior voice (a smooth, glamorous lyric soprano) and superior technical command," while another asserted her fame was "a triumph of intelligence and willpower over what was basically an unremarkable voice." Like many opera stars, her vocal talents declined with age, and she gave her farewell performance in Brussels as the Marschallin in 1971, though she still continued to sing lieder recitals until 1978. Her husband, who had played an integral role in promoting her career, died a year later. In 1992, Schwarzkopf was honored with a DBE, or Dame of the British Empire title, by Queen Elizabeth II. Four years later, a biography of her by Alan Jefferson was published that revealed controversial details about her early career in Nazi Germany and the answers she gave to the de-Nazification review board; she had apparently answered "no" on three different questionnaires about whether she had ever been a member of the Nazi Party. An affirmative answer might have prevented her from performing in Germany and Austria in those years, and certainly made traveling to London for her 1947 Covent Garden debut more challenging. It was an issue that had surfaced periodically over the years of her career, including her 1964 debut at the Metropolitan Opera of New York, which was marked by protests. Though she had later admitted to joining the Nazi Party, she pointed out that in most professions it was practically obligatory at the time. "It was akin to joining a union, and exactly for the same reason: to have a job," she wrote in a letter to the New York Times , according to Tommasini's obituary. 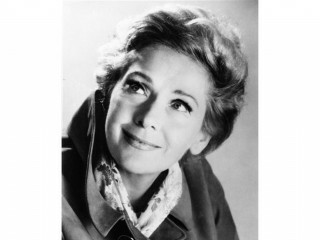 Schwarzkopf spent her retirement years in Zürich, Switzerland, and later in Schruns, Austria, where she died at home on August 3, 2006, at the age of 90. She and Legge had no children, but when a reporter once asked her if she did, she replied, "I have 500 children," according to the New York Times . "The songs I sing." View the full website biography of Elisabeth Schwarzkopf.